Sharing ideas is what it’s all about. We love idea-storming with you, our colleagues—over coffee, on campus, during planning sessions, on conference calls, at our special Ideastorm events. And that’s what you’ll find here…ideas. From our annual Best Enrollment Marketing Ideas publication to white papers, research, and info-bits of interest. We hope you’ll share your ideas, too. 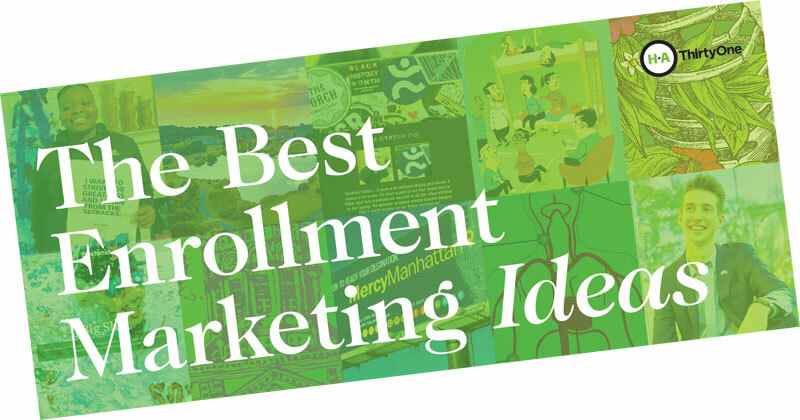 Every year H·A ThirtyOne scans the enrollment marketing landscape to find the best ideas. Some are big, some are small. Ideas come from some of our partner institutions as well as schools we haven’t worked with…yet. And, some ideas are still to be put into action (but are just waiting on that innovative school to take the leap). Getting your own idea juices flowing. Opening a creative session with your team. Presenting new ideas to fellow campus leaders or your President/Provost. Gaining consensus (and budget) for trying new things. Download copies of our recent presentations for your own review. If you’d like to use one of our slides in your presentation, please ask! Ask any Vice President for Enrollment or Director of Admissions — change is the only constant. From hiring new staff to integrating new technologies—daily changes distract the most seasoned leaders from executing plans or reaching goals. Learn approaches to surf atop changing tides, instead of simply trying to stay afloat. We first encountered the “who shares wins” philosophy when we met artist Katie Ries in Knoxville, TN. 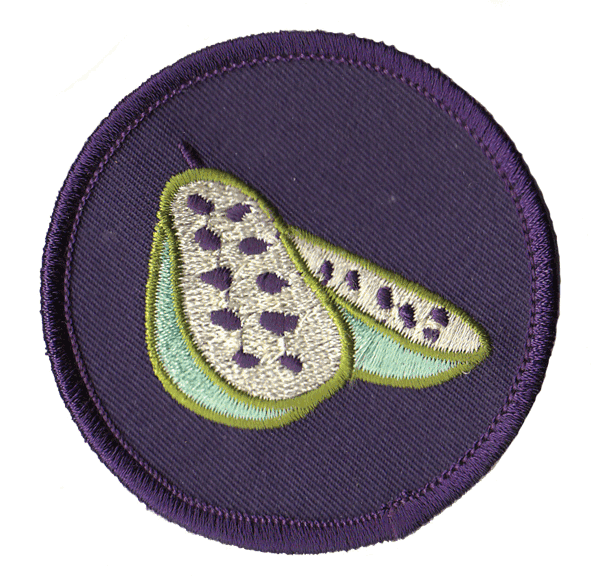 She was conducting a clothing swap and screen-printing workshop at The Birdhouse (another shared resource). We watched her creative endeavors work to grow community and her inspiring talent for seeing common things in new ways. Ries is now Assistant Professor of Art at St. Norbert College in Wisconsin. Lucky them. Who Shares Wins is also the title of a song by Good Clean Fun. It works for us.